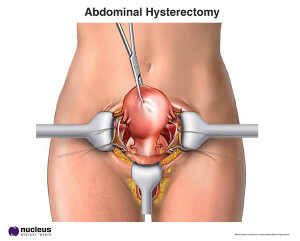 Prior to the advent of minimally invasive and laparoscopic techniques, laparotomy was the principal approach for problems such as ectopic pregnancy and endometriosis. It is still used when an operation may be complicated by scar tissue from previous surgeries, previous infection or endometriosis. It is almost always used to remove cancer, because it gives the surgeon the ability to inspect both the cancerous areas and the surrounding tissues both visually and by touch. This is important to be sure the cancer has not spread. Many of these procedures are now performed laparoscopically as well. MedicineNet.com. Definition of laparotomy. www.medterms.com/script/main/art/asp?articlekey=6212.